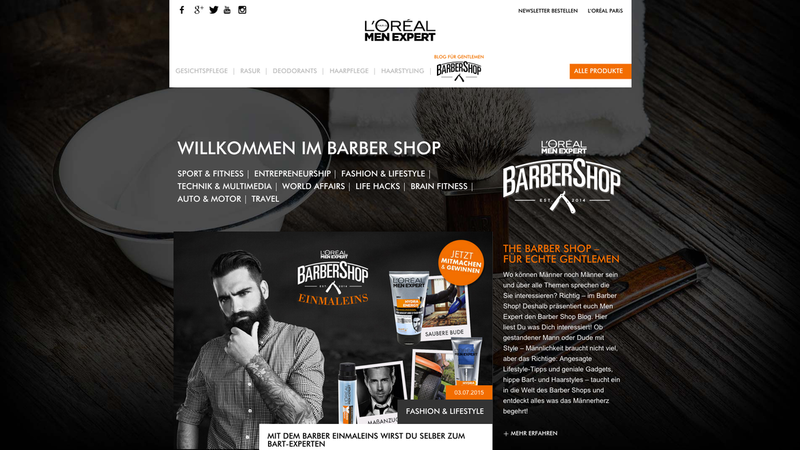 L’Oreal Group assigned to the Moccu digital agency the task to build a website for the relaunch of their project Men expert. Moccu agency is a fan of the multiple advantages provided by django CMS and they decided to build the new L’Oreal’s website with it. Thanks to its time-effective and easy to use technologies, their team managed to build a responsive and stylish website in a rapid and simple way, django CMS modular approach allowed to work faster and to create a personalized website according to their requirements. The pages are not based on templates, but built with django CMS with freely combinable elements. Thanks to a frontend-editor the content authors can work directly in the pages. The media are directly inserted in pages through a mediadatabase and automatically provided in different resolutions and format. We tried to create emphasis on a clean content structure. For this purpose we used for example the Standard Accessible Rich Internet Applications (ARIA) to assign a semantic role to the various element. L’Oreal is only one of the many companies that has successfully build their website with django CMS. Want to learn more about hosting your django CMS project?